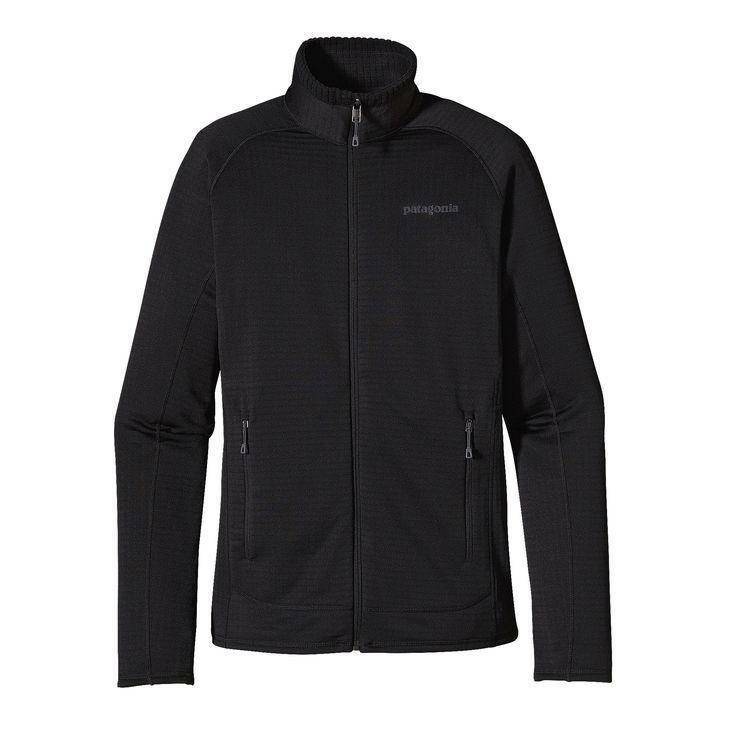 e classic R1® Full-Zip Jacket is a versatile midlayer for days on the mountain and everything in between—a light and breathable fleece made from Polartec® Power Grid™ with outstanding stretch and durability with Polygiene® permanent odor control. After countless desperate pitches, scores of alpine summits and miles upon miles of backcountry scrambling, our R1® fabric has compiled a worthy résumé. It stretches, breathes, wicks and warms with ultimate efficiency, and the full-zip iteration offers added versatility. The finely tuned high/low interior grid polyester (Polartec® Power Grid™), recently redesigned to be even lighter and more breathable, is exclusive to Patagonia. With its technical fit and durable fabric, it squashes down to practically nothing in your pack. With simple cuffs, minimalist zippers to reduce bulk and a soft, kissing-welt zipper garage at the chin for next-to-skin comfort. Two zippered handwarmer pockets sit above the harness line, with their mesh pocket bags doubling as internal drop-in pockets, and the offset shoulder seams steer clear of pack straps. Polygiene® permanent odor control ensures civilized tent time.